Thanks to all the sponsors and all the participants for an amazing Winter Bike Week! Stay tuned for a blog post to share some of the memories and photos and will also announce the winner of the Winter Bike Challenge. One of many submissions to the #mbwinterchallenge! Thanks, Liz! In addition to all the fun, there were also a pair of meetings on Monday. First the Transportation Ordinance Rewrite Committee met to continue their work to propose a major overhaul to the city’s transportation ordinance. At the previous meeting, there was some compelling testimony around the value of hiring a director of transportation for Madison, but apparently some members of the group have started to back off that enthusiasm. At the end of Monday’s meeting, the talk was about still hiring for a new role, but now more along the lines of a coordinator or manager that would be a peer to the Traffic Engineer and Metro Manager with limited direct authority over transportation decisions. There was little conversation around the committee structure at this meeting. The group plans to meet several more times over the next month to finalize a recommendation. There was also an unannounced public input meeting on a proposal to add protected bike lanes to a stretch of Bassett Street. In spite of the poor communications, several Madison Bikes members were able to attend and hear the proposal. 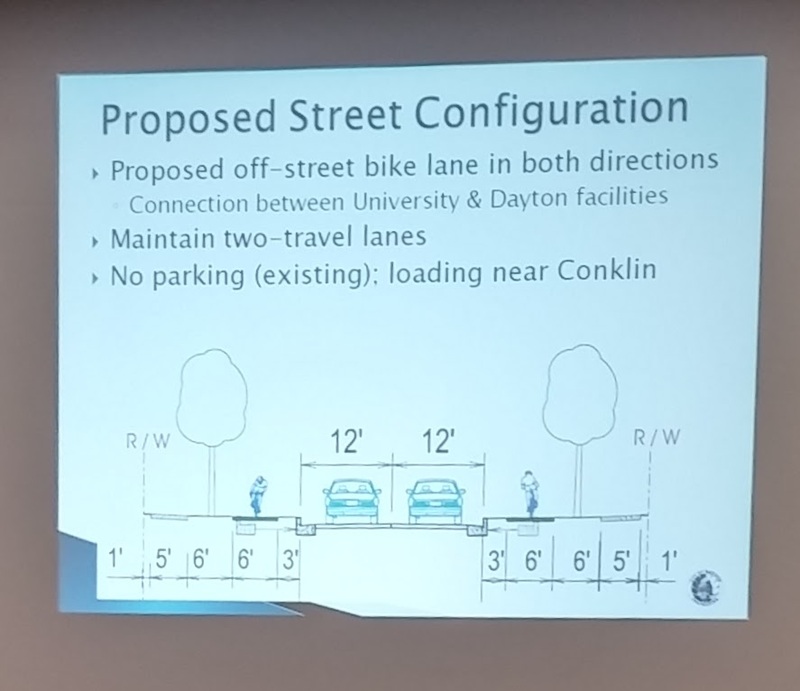 While it’s encouraging that the city is trying to improve the bike connections between University Avenue and the Capital City Path, it seemed clear to all in attendance that the proposal was not quite ready for prime time. Engineering has shifted their timeline a bit in order to work on refinements. Expect to see something at the February 22nd Pedestrian, Bicycle, and Motor Vehicle Commission meeting with a public hearing at Board of Public Works on March 8th and again at Common Council on March 21. The Madison Bikes monthly board meeting is on Monday. Anyone interested is welcome to attend. On Tuesday, bring your loved one to a special Valentine’s Day edition of the Transportation Ordinance Rewrite Committee where the conversation will continue around the value of a director of transportation and towards refining the recommendation for our transportation committee structure. On Thursday, Madison in Motion will meet to consider feedback received from the many city committees over the last two months. This will likely lead to a final draft of the document that will then be presented to the Council. On Sunday, join Trek for their Polar Social Roll ride.